One hundred years ago, Italian revolutionary Antonio Gramsci was in the middle of events that could have changed the course of history. The Italian working class was electrified by the example of the Russian revolution, especially in the critical industrial city of Turin. It was Italy’s Petrograd. Workers were ready for a fight to end the war, poised to take power. They could have overthrown their own capitalists and begun to build a democratic socialist society. Gramsci was among their best champions. But just four years later Mussolini’s fascist regime came to power, the first in the world, and eight years later Gramsci was jailed. Gramsci was introduced to revolutionary ideas around 1905 through socialist newspapers sent to him by his older brother. In 1911, aged twenty-one, Gramsci won a scholarship to study at a university in Turin and two years later he joined the Italian Socialist Party (PSI), affiliated to the Second International. By 1915 Gramsci had dropped out of university to write for the socialist newspaper, ‘The cry of the people’ (Il Grido del Popolo). The local edition of the official PSI paper ‘Forward!’ (Avanti!) published him too. He was a keen supporter of an independent working class press, and mercilessly criticized the capitalist media. He used his writing to attack nationalists and warmongers. He stood against the tide of reformist betrayal in the Second International, against those who supported the First World War. He was similar to other leading revolutionaries of the time, like Lenin and Luxembourg. Demonstrating his broad international outlook, he was quick and consistent in his support for the 1917 Russian Revolution, praising Lenin and the Bolsheviks. Unlike the rigid and dogmatic “old Marxists” he did not believe Russia was a repeat of the 1789 French revolution. It was not “progressive” capitalism against feudalism and landlords. Instead he echoed Trotsky’s conception of the Russian revolution as a working class revolt against capital which could begin to establish socialism. French or English style capitalism was not an alternative, the only alternative was an extremely violent reaction by the ruling classes. Italian society moved in the same direction in the next years. Workers in Turin and beyond took control of the factories in September 1920 through existing elected committees. They began to organise daily life. Capitalist rule was suspended in mid-air. Dual power existed, at least in Turin. Gramsci was a strong supporter of these developments. He understood the workers councils were the embryo of a new worker’s state. But the various leaders of the PSI refused to support them, criticising them as anarchist from one side and reformist from the other. Unfortunately, as Gramsci was later to reflect on, he did not have a national platform or organisation, like the Bolshevik party, to spread support for the councils. The PSI leaders refused to take responsibility for leading the working class to power. The union leaders sold out the factory council movement. It was a failed revolution. The politics and methods of the PSI leaders brought disastrous consequences. In the wake of the failed revolution and fascist reaction Gramsci decided that a split from the PSI was necessary. He had not acted earlier for fear of criticism and disunity, a crucial mistake. He worked with the ultra-left PSI leader Bordiga to take approximately 30,000 members to the new Communist Party of Italy. In these years brutal reaction set in. Socialist and trade union offices were burned and activists attacked. The state did not prevent it. Importantly Gramsci wrote some of the first analyses of fascism. It was the violent mass mobilisation of the frenzied, economically ruined middle classes against the organised working class. Trotsky later developed these same ideas. He commented that Gramsci was almost alone in seeing the possibility of a fascist dictatorship in Italy. Through the mid-1920s Gramsci spent time in Moscow as Italian delegate to the Third International and served on its executive committee. In 1924 he was elected to the Italian parliament as a Communist Party deputy. He also became party chairman. In jail Gramsci wrote many volumes of political notebooks. The notebooks have been discussed and debated a lot on university campuses for the last few decades. Some people celebrate them as his defining achievement. But Gramsci himself wrote numerous warnings about the contents and conditions in which the notebooks were written. He was debilitatingly ill, physically and mentally. He wrote without reference material or proper correspondence and news, from memory, and isolated under fascist prison censors. 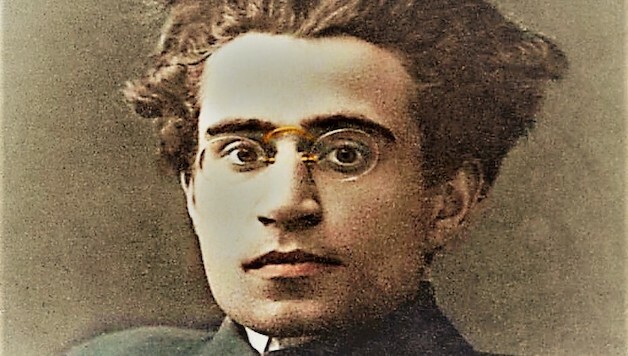 For revolutionaries who are discovering Gramsci for the first time, the best place to start is understanding the revolutionary events that swirled around him. These events formed him, and he passionately threw himself into them, making self-sacrificing contributions. For revolutionaries like Gramsci, philosophy and theory is a guide to action, not an end on its own. Gramsci eventually died of a brain haemorrhage in April 1937 after years of deliberate neglect and mistreatment by the fascist prison regime. His contribution, while not without faults, is something we can learn from today. He was a dedicated revolutionary who made the fight for socialism his life’s work. The best way to honour Gramsci’s sacrifice is to continue our struggle for a democratic socialist word.